Designed for woven fabrics. Suggested Fabrics: Cotton types, denim, twill, decorator fabrics, canvas. Unlined bags, in three sizes, have top edge finished with facing, inside pocket, flat bottom, handles made from self fabric and topstitching detail. Bags are very easy to make and have special easy to follow sewing instructions. 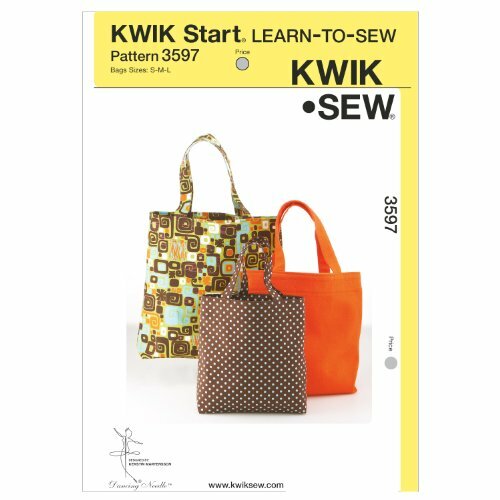 If you have any questions about this product by KWIK-SEW PATTERNS, contact us by completing and submitting the form below. If you are looking for a specif part number, please include it with your message.